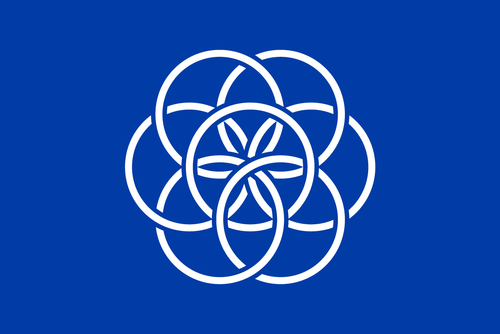 A Sweden based art director Oskar Pernefeldt has proposed the International Flag of Earth. The flag is light blue in color which depicts the water on Earth — without which life would be impossible on the planet. In the middle is a pattern created from 7 circles that intersect each other which depicts the 7 continents on the Earth and the intersection showing the unity. The flag will represent our planet Earth during missions to the space and other planets. The International Flag of Planet Earth was a graduation project of Oskar Pernefeldt at Beckmans College of Design, Stockholm, Sweden. Current expeditions in outer space use different national flags depending on which country is funding the voyage. The space travelers, however, are more than just representatives of their own countries. They are representatives of planet Earth.